Life gave me spring floods and I made topsoil. Not quite the same as making lemonade from lemons, but it was infinitely more appealing to me as a gardener. March brought two torrential rains within one week. The water poured down the steep hill behind my garden, and gushed through the drain pipe directly into my garden. 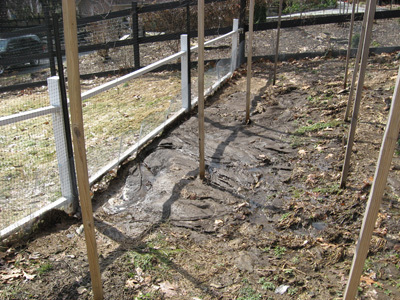 My carefully laid beds, newly dressed with compost, were gouged by several channels of water. 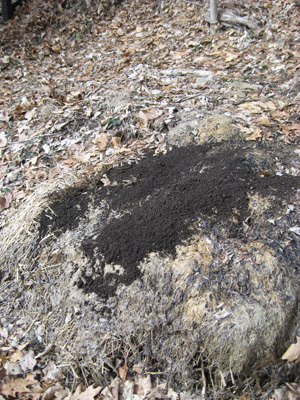 ...but as I realized the amount of gorgeous topsoil the rain had left me, I grew more enthusiastic, and heaped all three hills with this springtime gift! I then turned my attention to the garden itself. That was a little more sobering. 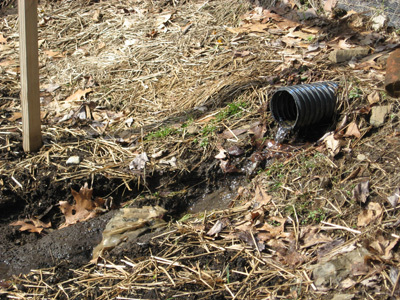 If you look closely, you'll see both dirt and water rocketed through this pipe. And I confess to being mightily discouraged when I saw the damage. Multiple channels were carved out of my beds. 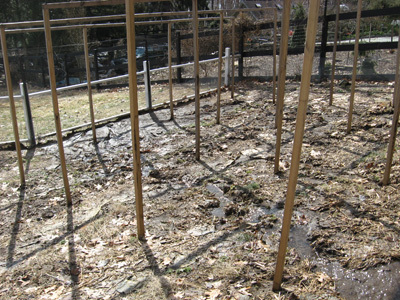 That dirt washed down and pooled at the bottom, held in place by the deer netting. As much as I love my husband, who is Mr. 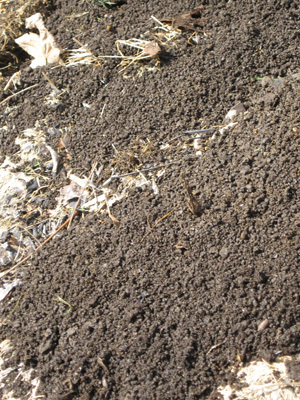 Lawn, I was glad to keep proprietary rights to this dirt. 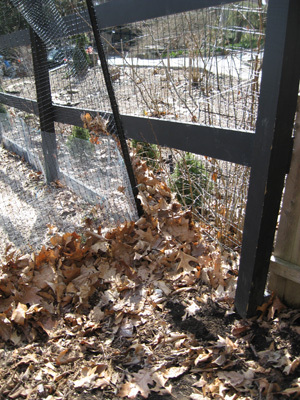 It was mine — I composted it, weeded it, de-rocked it, and at least the fence allowed me to keep possession. So I spent a good part of this Sunday moving dirt. 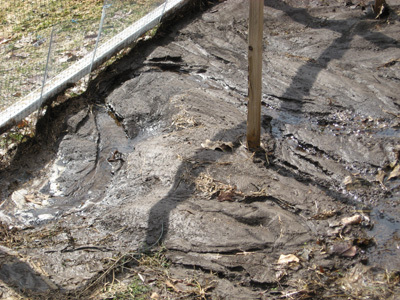 My husband pitched-in, not bitter at all about how close he came to receiving this black gold for his lawn, and we shoveled together, moving the dirt from the deep puddle below, back to the deep trenches above. I hope I don’t have to wait for another month for spring to truly arrive, but when it does, my dirt and I will be ready. You’re a true gardener at heart! You’ve taken something that could have been looked at as bad, and turned it around-good for you!